The Luchador is an exotic 5 country cigar blend handcrafted in Nicaragua consisting of very unique tobaccos. A San Andres Wrapper leaf surrounds the habano binder leaf grown in Ecuador. The filler uses viso from Esteli, Nicaragua with ligero From Pennsylvania-USA and Jamastran, Honduras. Centering the blend is a distinctive tobacco from Ometepe, Nicaragua. Ometepe is an island formed by two volcanoes rising from Lake Nicaragua in the Republic of Nicaragua. Its name derives from the Nahuatl words ome (two) and tepetl (mountain), meaning two mountains. It is the largest volcanic island inside a fresh water lake in the world. 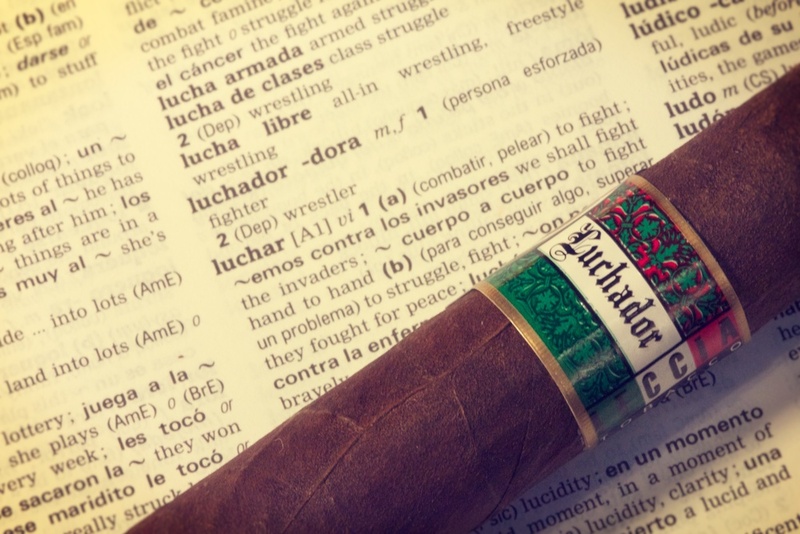 The Luchador blend uses 3 tobaccos grown in Volcanic soil: the Ometepe, Habano and San Andres. The soil in these regions is so rich that little to no fertilization is necessary. The blend is medium to full, providing a complex array of flavors from sweet to spicy with the strength building throughout the smoking experience. Read the Article on the Press Page. "I found it’s flavors very pleasing and liked that it had a little bit of kick and spice to it." "You immediately notice some of the best blends of tobacco from around the world. There were hints of sweetness, and a touch of spice." "The detail in the mask is phenomenal. My favorite part of the band is the black L and small T that stands for Leccia Tobacco."